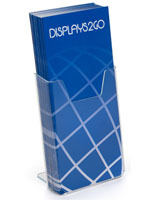 Tall, 6" Pocket so Brochures Don't Bow Over. 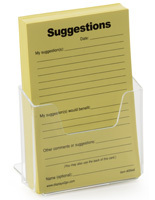 Designed to Fit 4" Wide Pamphlets. 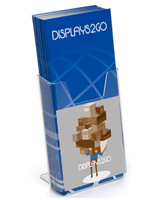 Acrylic Construction Makes Contents Inside Easy to See. 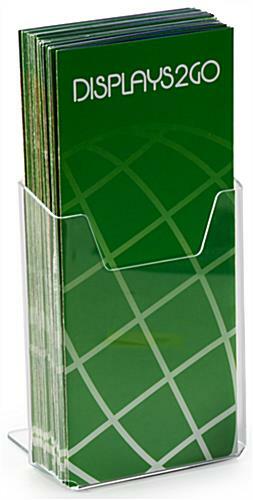 The tabletop plastic flyer holder is a highly affordable way to keep trifold brochures and other leaflets neat and tidy. 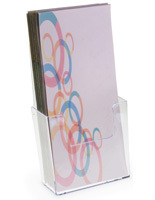 The acrylic literature display is 4.4” wide and 6” high to keep pamphlets from bowing over and becoming bent. 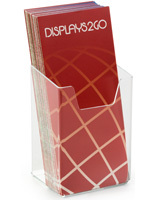 The flyer holder for countertops is able to keep information in view so clients and consumers can easily see it. 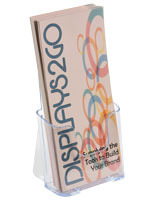 The trifold literature display has a compact design that will easily fit into busing settings and not get in the way. 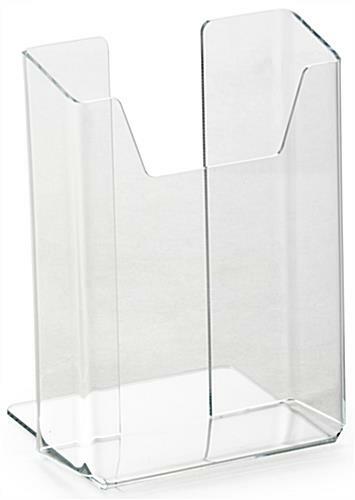 The holder has an acrylic steadying foot at the rear to keep it upright and stable. 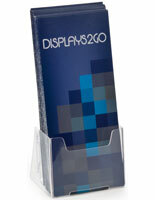 The clear countertop pocket allows for information inside to be easily viewed before it is removed from the container.